New Digitally Restored Gene For Fall! Gene Autry Entertainment is proud to announce that Grammy-nominated, award-winning author Holly George-Warren has signed a contract with the prestigious publisher Oxford University Press to write the first-ever comprehensive biography of Gene Autry. 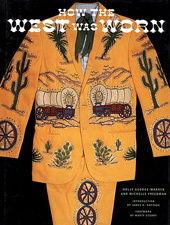 After several years of preliminary research, in addition to a 1997 interview with Gene Autry, Holly proposed to Oxford University Press a lengthy biography that places the Cowboy in the top echelon of American figures who greatly affected popular culture in the 20th Century. "I want to show how Gene Autry was at the forefront of every major innovation in entertainment and popular culture throughout his career," says Holly. 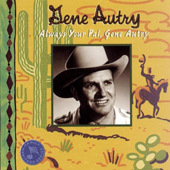 "From performing in a medicine show at age 15, to earning the first-ever gold record in 1931, to stardom on the hugely popular National Barn Dance radio program, to creating the genre of the musical Western, to his early commitment to the 'newfangled' invention of television, Gene Autry was a visionary as well as a major talent in the recording, radio, film, and television arenas." Holly plans to spend the next two years researching and writing the book, which will be published in 2007 in conjunction with the Centennial anniversary of Gene Autry's birth. Holly George-Warren is known for her work as a longtime writer, editor, producer, and music consultant. She is the editor of The Rolling Stone Book of the Beats and the co-editor of the forthcoming The Appalachians: America's First and Last Frontier; Martin Scorsese Presents The Blues: A Musical Journey; American Roots Music; The Rolling Stone Album Guide; The Rolling Stone Illustrated History of Rock & Roll; Rolling Stone: The Seventies; and two editions of The Rolling Stone Encyclopedia of Rock & Roll, for which she won a 1996 ASCAP-Deems Taylor Award. As Editor of Rolling Stone Press from 1993-2001, she created more than forty books, including the New York Times bestseller, Garcia, and the ASCAP-Deems Taylor award-winner, Images of Rock & Roll. Recently, she served as music editor to the first-ever Zagat's survey of the top 1,000 albums of all time. She is the author of Cowboy! How Hollywood Invented the Wild West, the forthcoming Honky-Tonk Heroes and Hillbilly Angels: The Pioneers of Country & Western Music, and Shake, Rattle & Roll: The Founders of Rock & Roll. She co-wrote the books How the West Was Worn and Musicians in Tune: 75 Contemporary Musicians Discuss the Creative Process. Her writing appears in Classic Country; The Rolling Stone Book of Women in Rock; Rock, She Wrote: Women Write About Rock, Pop, Rap, and Jazz; The Encyclopedia of Country Music; >Country on Compact Disc; >The Rolling Stone Illustrated History of Rock & Roll; and The Rolling Stone Jazz and Blues Album Guide, among other anthologies. She also has written for Rolling Stone, The New York Times, The Village Voice, CMT, Entertainment Weekly, MOJO, Harp, American Cowboy, Cowboys & Indians, The Journal of Country Music, The Oxford American, Paper, Time Out, Tracks, Texas Music, Men's Journal, Country Music, and No Depression, among other publications. 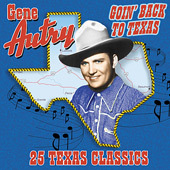 She has contributed liner notes to numerous anthologies and box sets issued by Rhino, Warner Bros., Sony/Legacy, Capitol, Universal, Varese-Sarabande, and BMG, including a pair of Gene Autry anthologies: Always Your Pal, Gene Autry and Goin' Back to Texas. Her essay for the Gram Parsons anthology Sacred Hearts and Fallen Angels (Rhino) won the 2002 ASCAP-Deems Taylor Award for excellence in liner notes. In 2001, she received a Grammy nomination (for Best Historical Recording) for co-producing Rhino's five-CD box set, R-E-S-P-E-C-T: A Century of Women in Music. She also co-produced the Razor & Tie three-CD set The Rolling Stone Women in Rock Collection and a series of CDs with the Lifetime network. 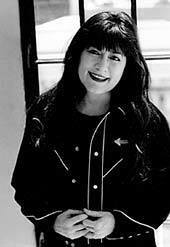 In addition, she serves as an archivist/curator for the Rock-and-Roll Hall of Fame Foundation. Holly George-Warren has appeared frequently on television programs on various networks to discuss music, Western Americana, and pop culture, including MTV, VH1, CMT, PBS, Fox, and NBC. She has also served as a consultant to several documentary films, including Welcome to the Club: The Women of Rockabilly and a forthcoming film on the Carter Family. In addition, she has led workshops and given talks on Western Americana and popular music at numerous national museums, universities, and conferences. A native of North Carolina, Holly graduated from the University of North Carolina at Chapel Hill in 1978 and spent the next 22 years in New York City. Since 2001, she has been a resident of Phoenicia, New York, where she lives with her husband, singer-songwriter Robert Burke Warren, and their son Jack.